Susan Dexter is a CPA by profession and works as a Financial Controller in the private sector. She studied under Dr. Alan P. Squire, Professor of Clarinet at Baldwin Wallace University, in her formative years. She was principal clarinetist in Miami University (Ohio)’s wind ensemble during college. 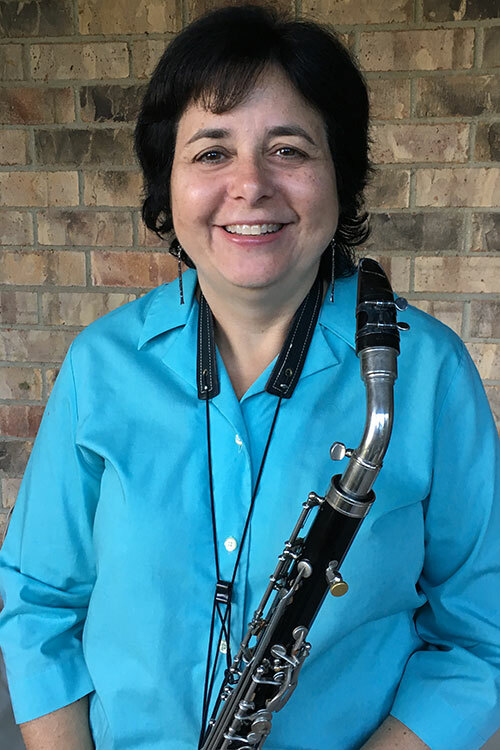 Susan was a member of the Atlanta Concert Band, the Nashville Community Orchestra, and the Strongsville (Ohio) Community Band, where she was principal clarinetist for the last 10 of her 25 years there. It was at the Strongsville Community Band that Susan met Loras Schissel, who would guest conduct the band occasionally when he was in Ohio for professional work. Upon her move to Virginia, Loras invited Susan to play alto clarinet for the Virginia Grand Military Band. Susan plays B-flat clarinet in the National Concert Band of America and performs regularly at her local church.